Many Townsville locals have been to Big Crystal Creek but not many have been to its waterfalls. 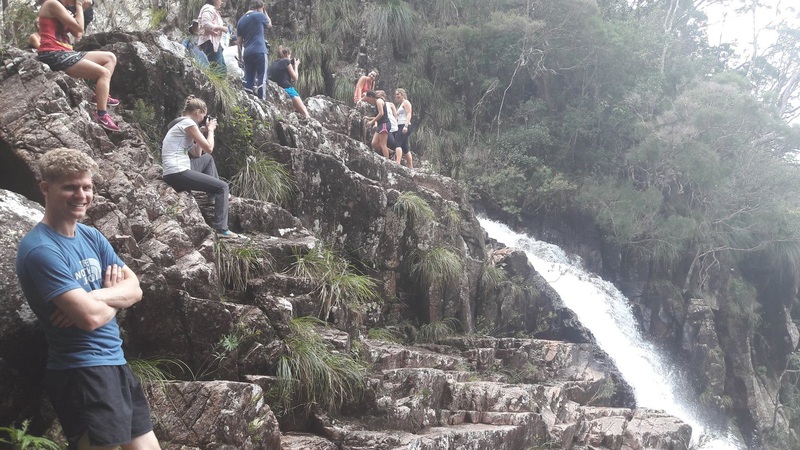 This walk will take you on formed track down to where the water cascades down numerous waterfalls for almost a kilometre. 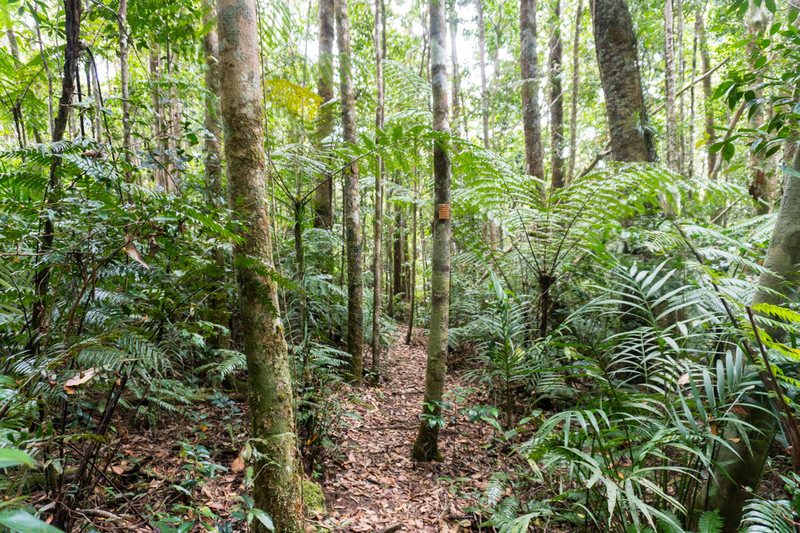 There's a lot of tracks up at Paluma so have a read of the Paluma Trails article. 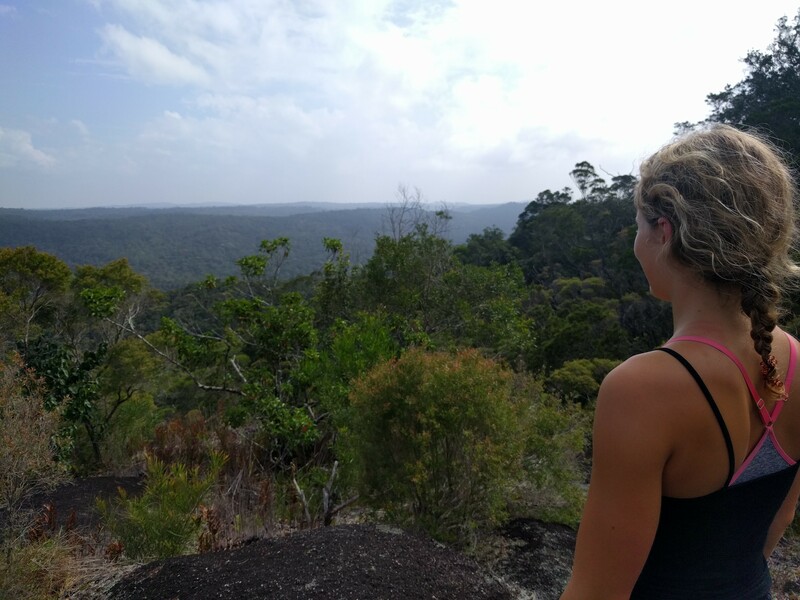 The easiest way to get to Crystal Falls is from the Paluma Dam. 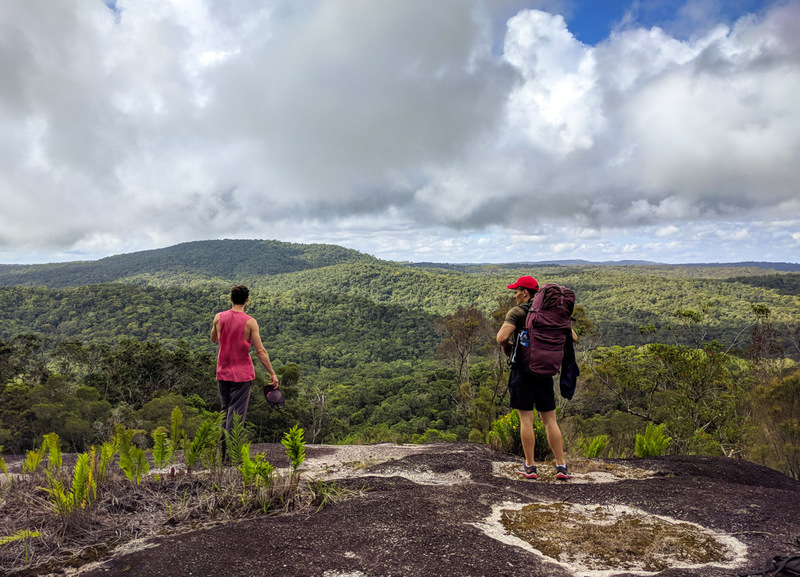 The best time to do this walk is after the wet season when it's an absolute delight to see the Paluma Dam so full and the large volume of water flowing down the waterfall. 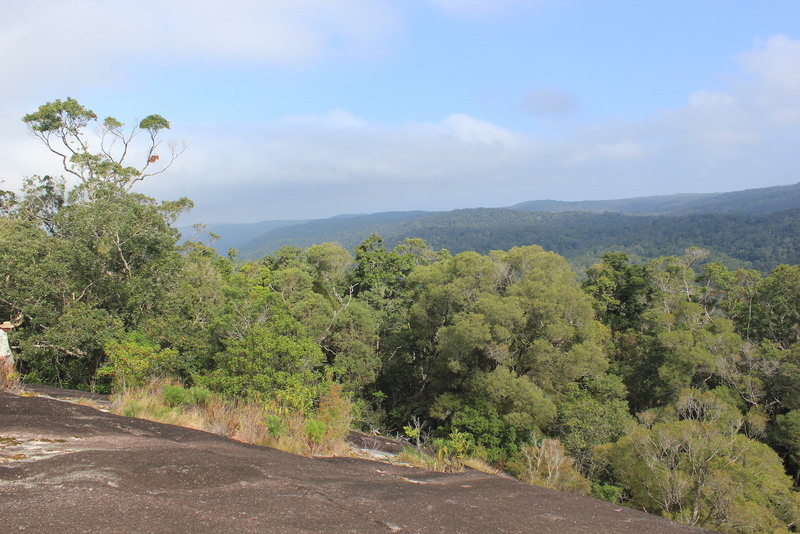 I recommend stopping off at Wilfred's Lookout and Torsten's Rock Garden either before or after visiting Crystal Falls. 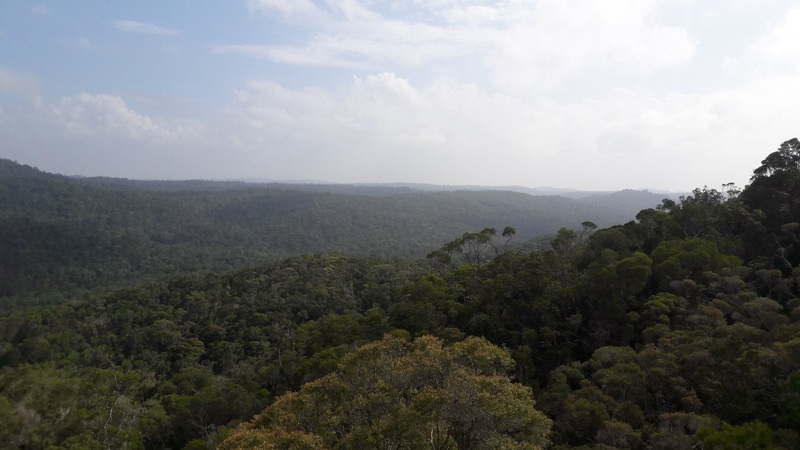 Wilfred's Lookout offers spectacular views of the surrounding countryside. Snakes love sunbaking in full sun so keep a look out for them. From the dam, it's about a 30 minute walk. Starting at the Dam 899m in altitude, head towards Junction 29 which is 1.6 km from start. Turn right here and continue to Junction 30 turning right again toward Wilfred's Lookout. Wilfred's Lookout is at Junction 31. 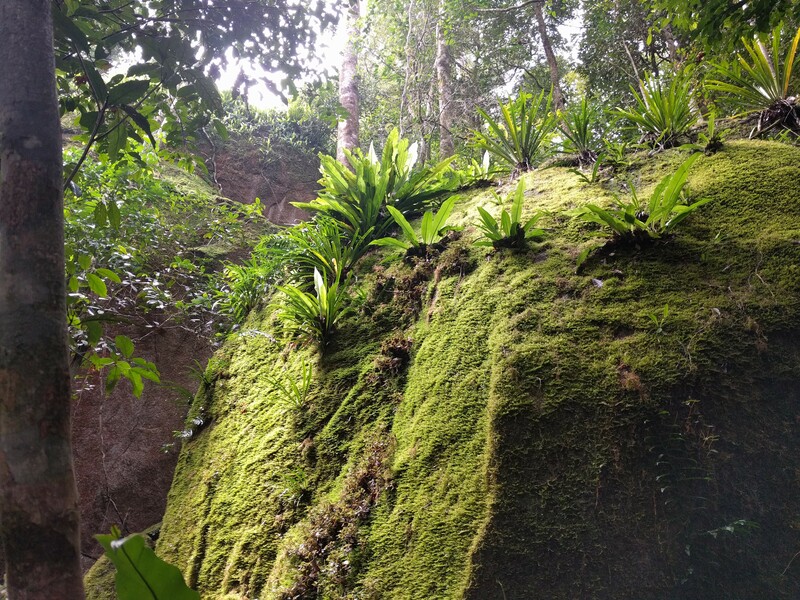 Once having a quick rest, continue along the track to Torsten's Rock Garden, a beautiful bunch of large, mossy rocks in the middle of the rainforest. Approaching the Rock Garden from a lower vantage point is also a spectacular sight. 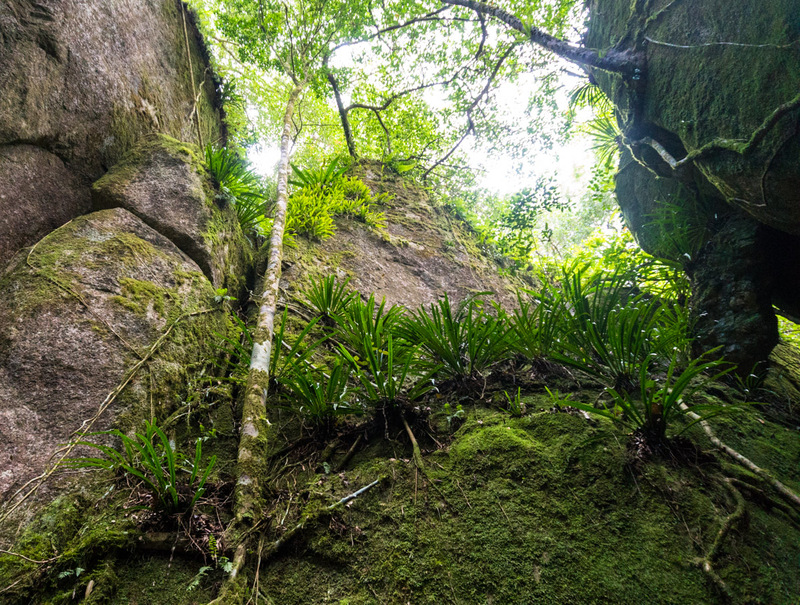 There is a secret bat cave in amongst the boulders and the place offers good bouldering opportunities - just be careful not to disturb the vegetation. Continue along the track past Junction 32 toward Crystal Falls. Keep an eye on the side of the tracks for the bowers of Golden Bower Birds. These bower are sometimes active and decorated with bits of lichen and small white flowers. At Junction 33, take the right to Crystal Falls and continue past Junction 34. After a a slow descent, you will start to hear the sound of running water and will end up in the stoney creek. If you go upstream a little, there's a large swimming pool and just downstream 20m you will see the falls! Crystal falls pool is 765m in altitude. It's a great place for a picnic. Enjoy the views of the Falls, a swim and lunch. After a very relaxing lunch, make your way back towards the dam passing a massive tree just before you get to Junction 33. From Crystal Falls to the Dam is 5.27 km. The alternative to heading back the same direction is to do a circuit and stopping off at DCK circuit. 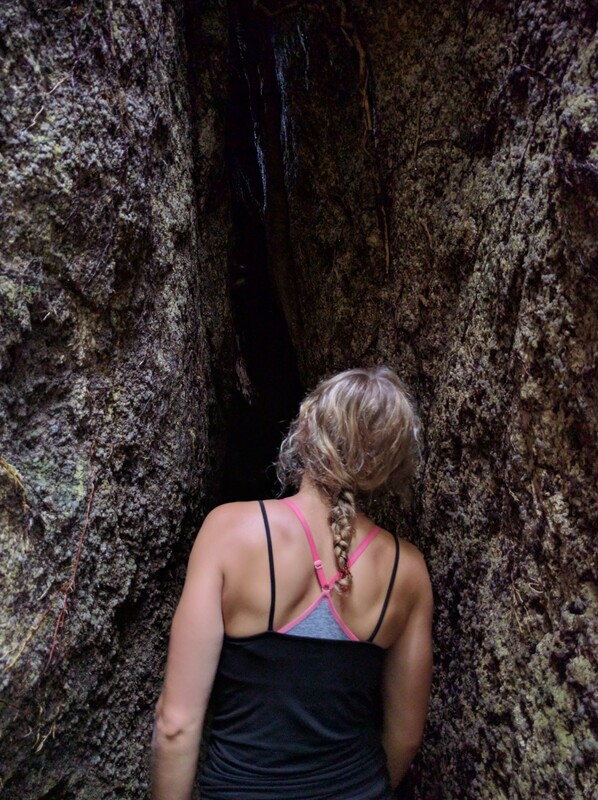 It's a nice 17 km rainforest track walk, creeks, two swimming holes, colourful fungi, and moist mossy rainforest. The temperature is pleasant, much nicer than down on the coast in Summer. 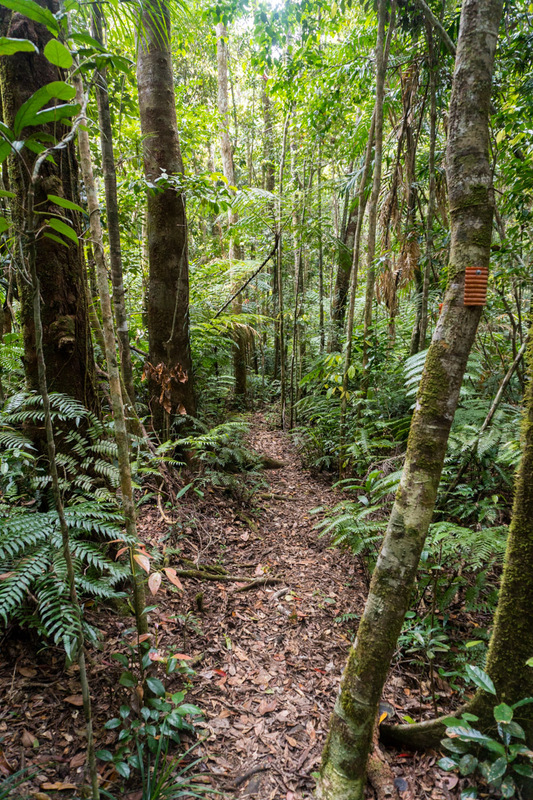 If you continue on this track past Crystal Falls and Gold Creek Falls, you will end up down at Paradise waterhole, this track is called Bullocky Tom's Track and is a very nice through walk (car shuttle recommended). You can also abseil down the myriad waterfalls in Crystal Creek to the water intake plant near the rockslides (car shuttle recommended). 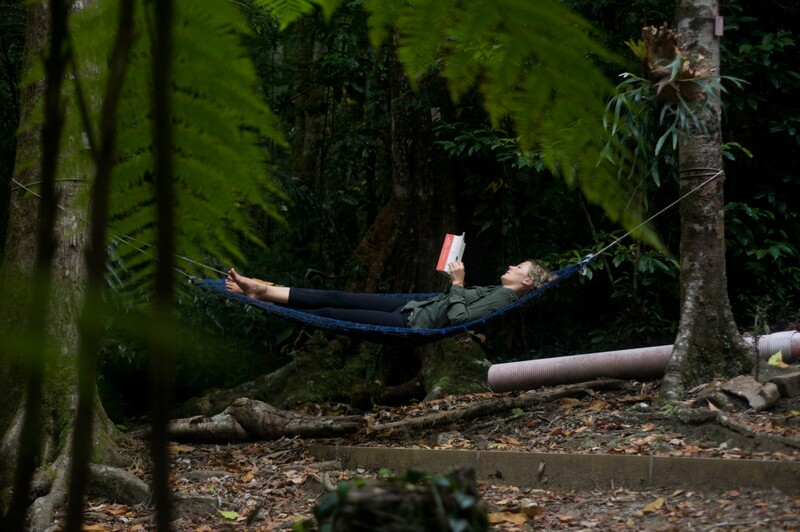 Being out in the bush is invigorating, refreshes the mind, and you can focus the brain on the important things in life. I highly recommend getting out into nature at least once a week for a few hours. 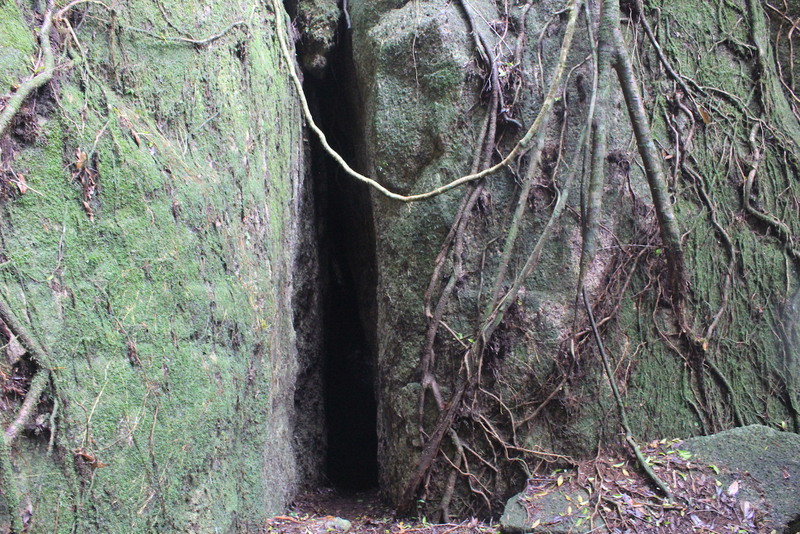 This route is about 10.5km with an overall ascent of 609m and descent of 612m. Make sure you take a map with you so you don't get lost at the Junctions. Here's an interactive map of the journey.